I was 22 years old when I boarded my first airplane. 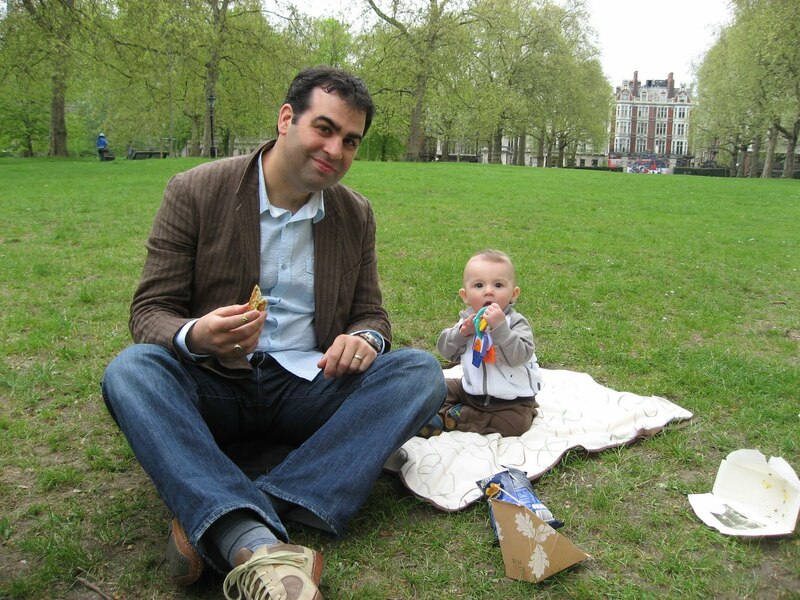 My son, Xavier, was four months old. When I was eleven years old, my family spent a few days in St John, New Brunswick to visit my grandfather in the hospital. One night my parents took us to the shopping mall just so that my brother, sister, and I could ride the escalator. I had likely never been on an escalator before this, so it was a fun-filled family activity! In contrast to his Mom's early sheltered life, Xavier has been on city buses, Seabuses, escalators, subways, and many flights. Last weekend we went to London, for round two of travel with baby. 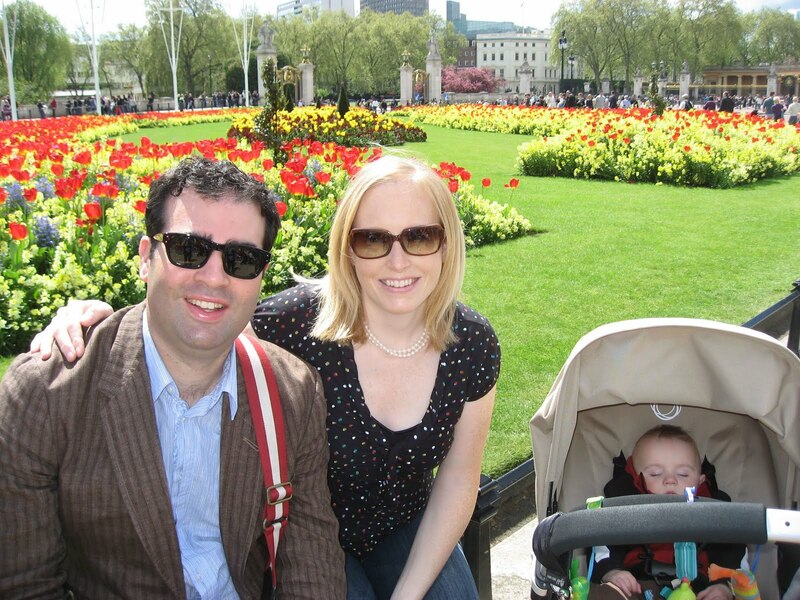 Babies are constantly changing, so this trip posed different challenges than the Vancouver trip. Xavier is now older and more alert, and doesn't just fall asleep anywhere and at anytime. We had to plan around naptimes and make sure to give him some playtime throughout the day. But in general, the trip went really well. Thankfully, the weather cooperated, and we only had to seek refuge from rain the last afternoon we were there. 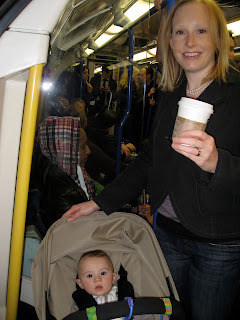 The most challenging part of traveling with baby this trip was riding London’s Underground system, or ‘The Tube’. Most stations do not have elevators, meaning that we had to get the stroller up and down using escalators and stairs, all while fighting crowds of people. We quickly realized that making transfers was incredibly cumbersome, doubling the amount of ups and downs we had to make with the stroller. We could no longer come and go as freely as before, and chose to plan our trips to avoid transfers and the most touristy Tube stations. 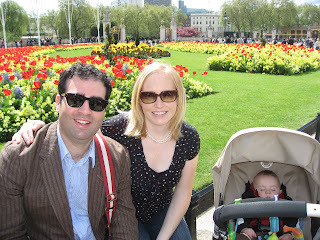 Just like our London trip last year, we spent our first couple of days shopping, preferring London to Paris for this. 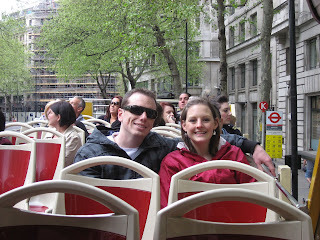 Then, my sister and her boyfriend, who now live in Northern England, joined us for a few days. 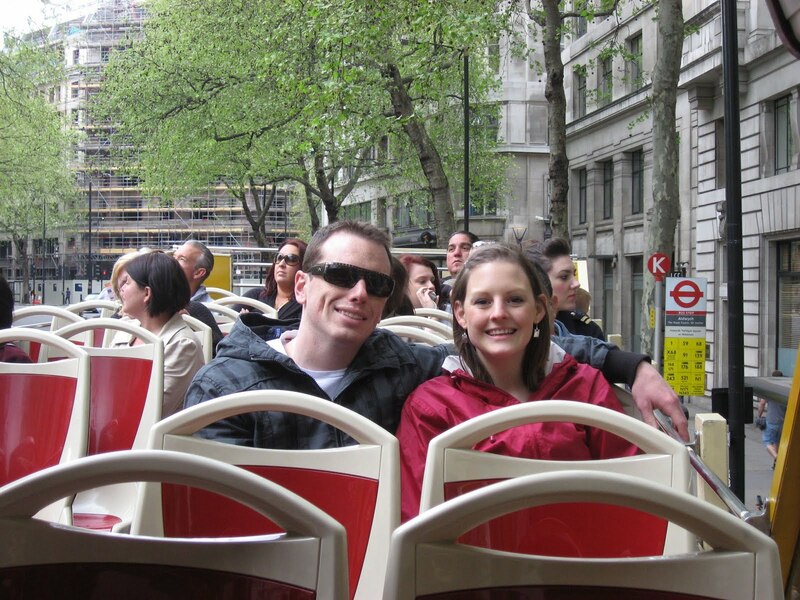 It was their first time in London, so we did some more touristy activities: we visited the sights on a hop on-hop off bus tour, and saw changing of the guard at Buckingham Palace. And Saturday night, Auntie Julie babysat Xavier while we went to a lovely Indian restaurant for supper. It was our first time out alone since Xavier was born! A real treat, indeed! Darcy and I were just talking about the same thing! He commented how Logan is only 6 and has done more than he had in his first 20 yrs. He has had numerous plane rides, been to Disney World, Las Vegas, Toronto, had ferry rides and even an Olympics. What lives our boys are leading. "Men of the World"